She said conservatives mismanaged the economy by failing to diversify the economy, add value on energy products at home and undermined the industry by resisting efforts to deal with climate change. Although former Premier Jim Prentice said he was “very pleased” with his leadership on climate change, his Progressive Conservative government was routinely criticized for doing nothing. Just last year, Alberta’s auditor general ripped the former PC government for failing to report on its own greenhouse gas reduction strategy for six years in a row. Despite Prentice vowing to build pipelines “in every possible direction,” the PCs managed to build exactly zero pipelines, costing the province hundreds of millions of dollars in lost revenues. Maybe their hardline approach had something to do with that? Federally, under Harper’s Conservatives, Canada abandoned Kyoto, dismantled environmental laws, failed to make good on a pledge to regulate the oil and gas sector (before Harper finally called the idea “crazy”), saw the RCMP and CSIS view environmental critics as threats and turned the National Energy Board into what one member called a “Kafkaesque” farce. That MP, Ron Liepert, was formerly Alberta’s Progressive Conservative Energy Minister. With characters like these running the show for years, is it any wonder Alberta’s had such a tough time gaining social license? Here's a perfectly sensible option for Alberta as it gets ready to make tough choices on reducing greenhouse gas emissions at this month's Paris climate conference. 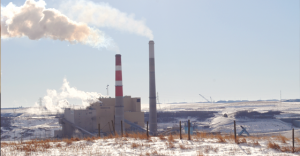 Here’s a perfectly sensible option for Alberta as it gets ready to make tough choices on reducing greenhouse gas emissions at this month’s Paris climate conference: phase out Alberta’s fleet of coal-fired power plants. 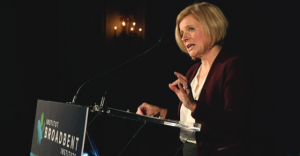 Experts argue that within 20 years, Alberta could reduce its heavy reliance on fossil fuel energy and instead power the province from mostly clean and renewable energy, cutting its GHG emissions from the electricity sector by as much as 69%.